Unable to get access to your computer as you have forgotten the password. Don’t worry, it happens, and a very common form of mishap these days but there are also solutions available. You will get to know how to unlock Windows 8 computer in details here. Keep in mind, there are only a few possible methods or procedures available which are capable of bypassing even the Administrator password for your Windows 8/8.1 computer. A few of them are discussed below in the article, have a look. 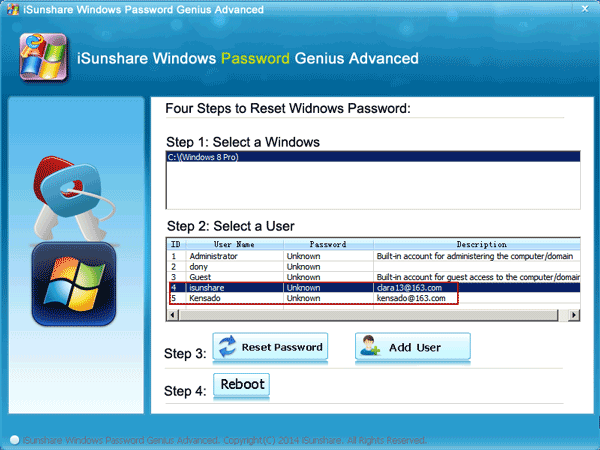 If you don’t know how to unlock Windows 8/8.1 then password reset disk should be the first thing to come to your mind. This is a very easy and quick method. If you have already created a Windows 8 password reset disk before forgetting your login password, then you can easily unlock Windows 8/8.1 password with the help of this guideline. First you need to plug in the reset disk into your computer’s disc drive after you have failed to login. Then you need to click on the Reset password link that showed up on the login screen. 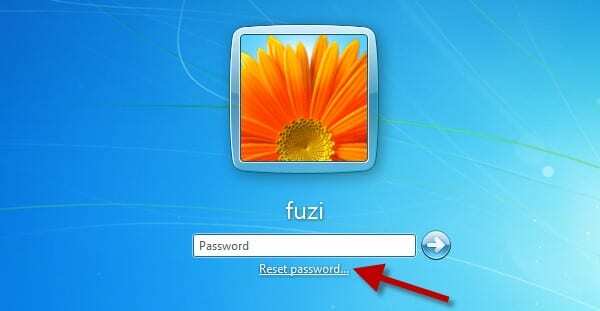 Finally, just follow its Password Reset Wizard to reset/change your Windows password easily. First you need to restart your computer and enter into your system by using any other administrator account. Then right-click on “My Computer” and select “Manage”. You will see a new computer management window opened with various options on your screen. Just look at the left sidebar of the window and click on “Users and Local Groups” that will expand the folder. Then click on “Users” which will display all the accounts linked with your PC. Now, right-click on the locked username and select “Set Password” from the right sidebar of the window. Next provide a new password and remember it or write it down on a paper. Finally you need to reboot your system and use the new changed password to access your computer again. Step 1. First you need to download, install and launch the software on a computer and insert an empty USB drive on that computer. From the main interface of the software, you need to click on the “USB device” and select that USB drive from the drop down list of your screen. Step 2. 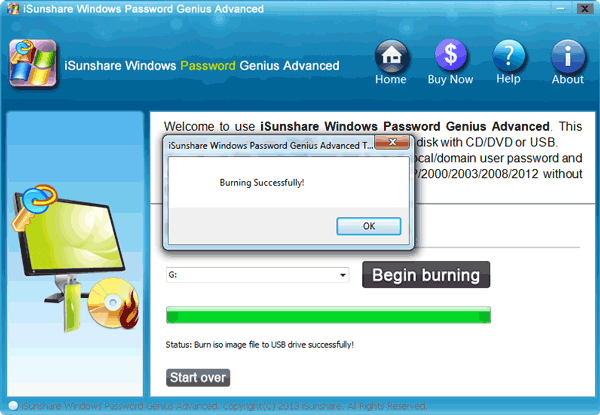 Then click on “Begin burning” button to burn the password resetting drive. It will take almost one minute time to finish. Step 3. Now click on the “OK” button to finish the burning process. Step 4. After that, insert the bootable USB flash drive in your locked Windows 8/8.1 computer. Then reboot it and press “F12” or “ESC” button to enter the boot menu. Step 5. 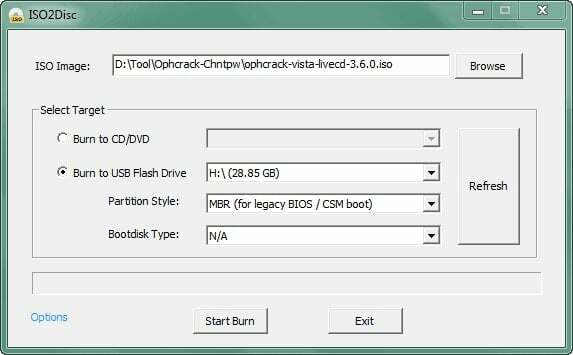 Now choose the USB drive as your boot device and press “Enter” to go to the next step. Step 6. Now you will see the interface of the recovery software in your computer screen. Step 7. 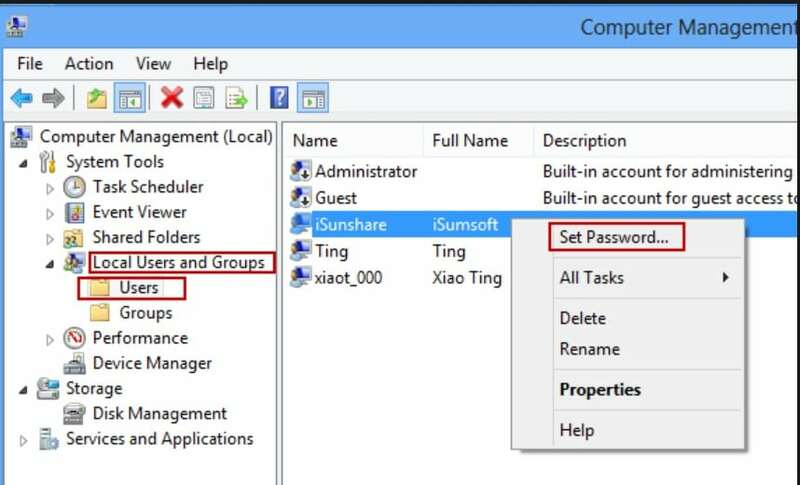 From here you need to select the Windows system and user account that you want to reset the password from. Next click on the “Reset Password” button to proceed. Step 8. Finally, you need to click on the “Reboot” button to restart your computer. You will be able to log into your computer without any password from now. Step 1. First you need to launch a browser from your computer or smartphone and visit this link to proceed, https://account.live.com/password/reset. Step 2. Next you need to select “I Forgot My Password” and click on “Next”. Step 3. On the next page, you will have to enter the email or phone number that you have used to sign up in your Microsoft account before. Step 4. Then Microsoft will give you two options (Email or phone number) to receive a one-time password that you will have to provide them to successfully reset your Microsoft account. Step 5. You need to enter the code after receiving it and choose new password for your account. This time you must remember the new password. Step 6. Finally, turn on your computer and provide the new changed password to login. 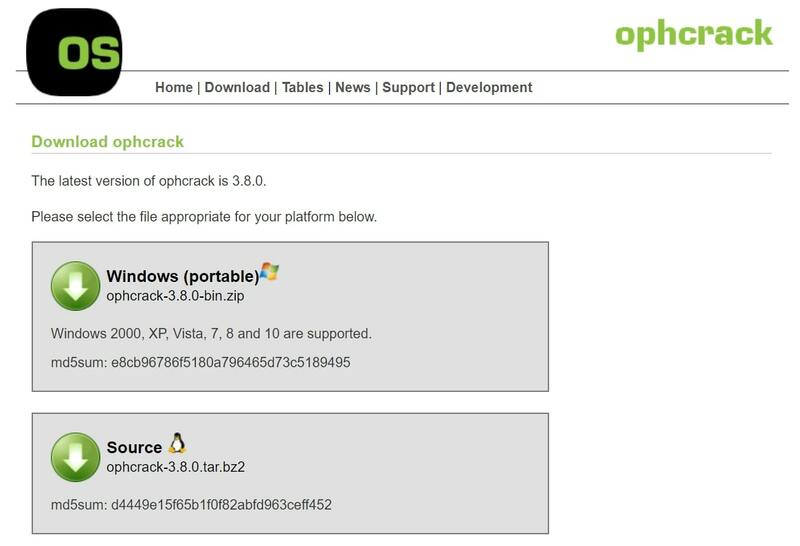 Step 1: So, you need to download Ophcrack from its dedicated website on a computer. Step 2: The downloaded files is an ISO, burn that file into a USB drive. Step 3: Downloading the file will take a little or a significant amount of time depending on your internet connection. The size of the file is not really that big, just under 700 MB. Step 4: The burning of ISO onto the USB drive will be finished within a minute after that disconnect the drive and connect it into the locked computer. Step 5: After connecting the USB drive, restart the computer. The program will load on the computer, in the program panel you need to select “Ophcrack Graphic Mode – Automatic”. Step 6: After that the program will simply take over, reboot the computer and then start the dictionary attack by itself to recover the password. Step 7: Ophcrack does not provide any specific time for the recovery of the password, it actually varies. It can take from a few minutes to a few hours to crack the password, depending on the strength of the password. After the procedure is finished, the computer will reboot and you will be able to access your Windows account again using the recovered password. 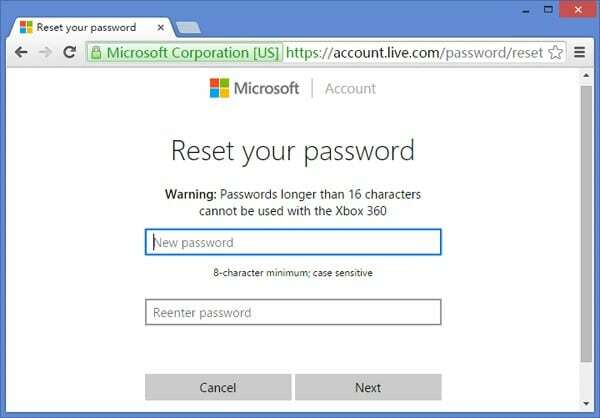 Keep in mind, if the password is above 14 characters, it won’t help you. In this article you have the best 5 methods to unlock Windows 8 computer. 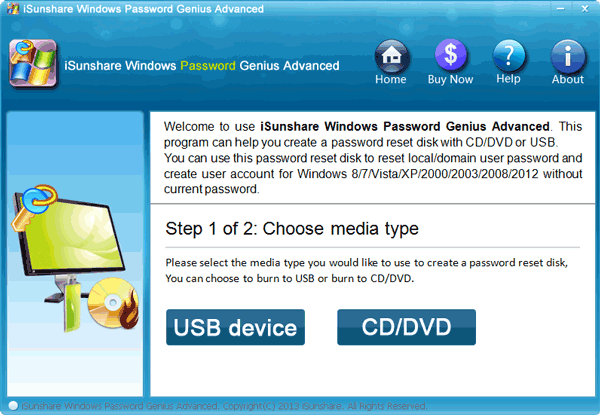 You can choose any method of your choice but the best choice will be by using Windows Password Recovery Tool. It doesn’t matter if you don’t know how to unlock Windows 8 without password, just follow the guideline from here and you will know what you have to do next.